It is hard to operate all our everyday devices with a single operating system. So there are numerous operating systems in the market today. Majority of laptops and desktop computers operate on Windows while handheld devices use Android. We use many synchronizing services to sync documents between devices. But what about apps and games you love? Wouldn’t it make your life much easier if you could completely merge Android and Windows operating systems? You will be able to use Android apps and games on Windows. And wise versa you will be able to use Android apps and games on Windows. 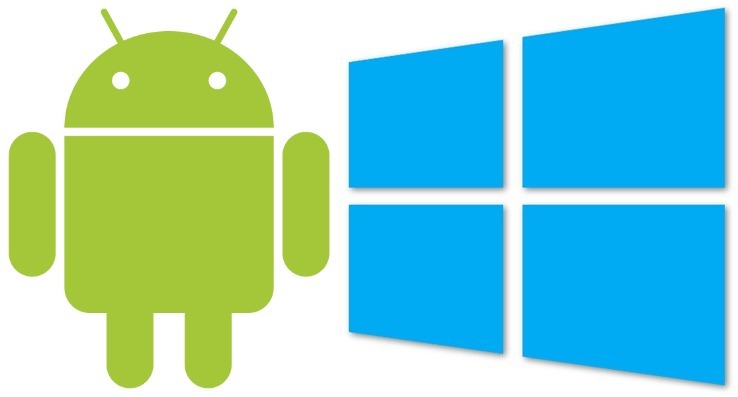 The article below discuses ways you can run Android on Windows and Windows on Android. You can easily run Android on Windows using an Android emulator app. There are many available in the market today. Almost every Android emulator app is free to use but you might have to pay for premium features. Here are the top Android emulators in the market today. Simply download the emulator and login with your Google Account information. BlueStack is one of the major Android emulator with many features. It is free to use and supports both PC and Mac. It is also compatible with both Flash and HTML5. Bluestack imitates Android environment by letting you stream, watch, and play any app available in the Android Market today. If you looking to run Android on Windows, this is your best option. One of the top rated Android emulator to play any game offered in Android Market. AndyRoid is both PC and Mac compatible. It is completely free to use unless you are looking to develop. One of the great features of this emulator is that you can use the phone as a controller. Both Xbox and PlayStation controllers also can be used to play any game. In order to run Windows on Android, you need a virtual realization software and a strong internet connection. You can easily use Microsoft Remote Desktop App on your phone to access Windows via a cloud. One major set back of this method is that you have to keep your PC computer running through the complete process. If you still not satisfied by the 2 methods mentioned above, you can dual boot Android and Windows on your device. Many devices out there today are designed to run both Android and Windows on the same platform. It is a growing trend in developing countries where Android rules. This might be your best option if you are looking to run Android on Windows or Windows on Android.